Crucible aid | Story by the Throat! 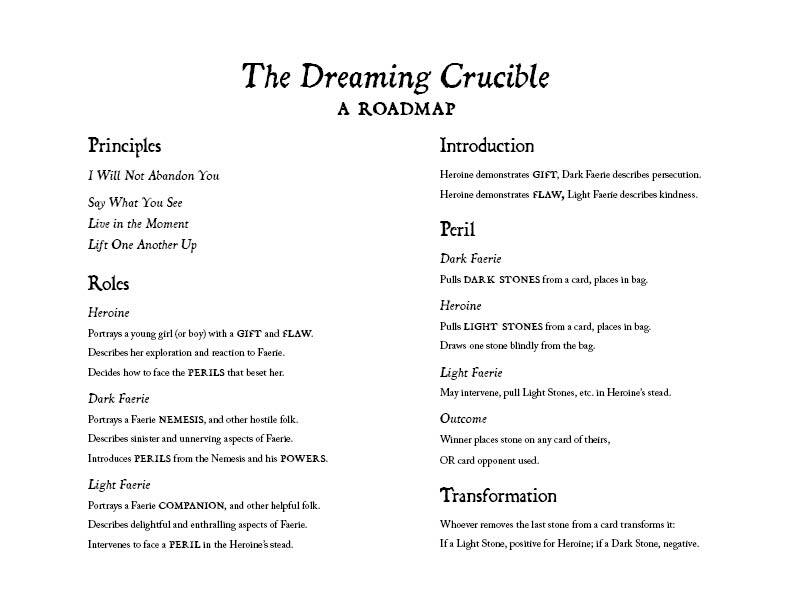 For players of The Dreaming Crucible storytelling game, I’m proud to present: printable play aids! 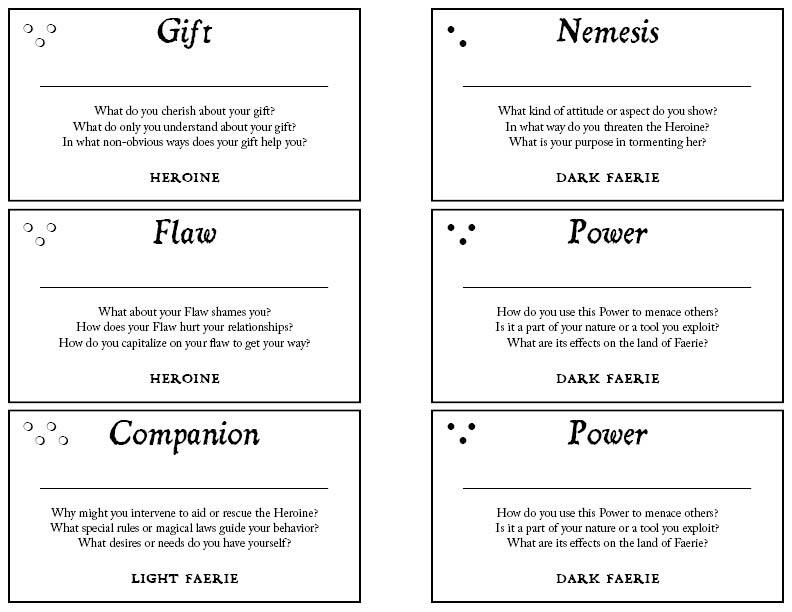 In addition, I’ve created a handout that provides a roadmap of play: the left-hand column summarizes the game’s guiding principles, and the right-hand column lists the steps of the most vital game procedures. This isn’t meant to replace the content of the Dreaming Crucible book, or substitute for the oral process of teaching and learning through play. Rather, it’s meant to reinforce those things and serve as a signifier and reminder of what you already know. I hope these both enhance your play. Be sure to tell me what kind of experiences you have with the aids so I can benefit from all your perspectives in continuing to refine these fluency techniques! Oh, sweet! I was going to write up my own play aids, but the roadmap gives me everything I need. Glad to hear it! If you end up using it, let me know how it goes! It’s still experimental; I’d like to refine the format of presentation.